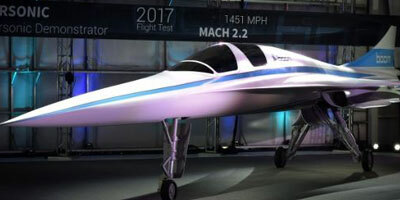 Powered by three 3,5000-pound-thrust, non-afterburning GE eninges, this supersonic aircraft is a 1/3-scale prototype of a commercial vehicle Boom Technologies hopes to see in operation in 2023. The 17-foot-span XB-1 is designed to operate at Mach 2.2! Click here for the full story from Aviation Week.